Acupuncture and Chinese Herbal Medicine are based on a complete system of natural internal medicine that has evolved over the last 3000 years. We use these modalities to effectively relieve symptoms while simultaneously acting to correct their underlying causes. We are successful treating most physical diseases as well as mental/emotional imbalances. Care is taken to obtain an accurate diagnosis which is sensitive to the unique expression of imbalance in each patient. We diagnose the flow of energy and blood in the body, as well as the health and balance of the internal organs. To achieve this end, we examine the patient from many diagnostic windows. They include traditional tongue and Taoist pulse diagnosis, auricular diagnosis, eight extra / divergent meridian diagnosis, and Acugraph® digital meridian imaging technology. We then understand the underlying causes of the health condition, and translate that into the most effective individualized treatment plan. The Balance Method, also known as Master Tung’s, or I Ching Acupuncture, is a 2,500 year old technique, which often produces pain relief in seconds. It’s responsible for creating the Acupuncture profession in California. Auricular therapy, includes Needle-Free Ear Seed Therapy. Ear Seed therapy, is a powerful adjunct to Acupuncture treatment. It accelerates overall treatment response in a wide variety of health conditions. Zhu’s Scalp Acupuncture is a powerful system used to effectively treat many orthopedic and pain conditions, as well as recovery from stroke. Eight Extra and Divergent meridian therapies are amongst the deepest acting and most comfortable, acupuncture treatments. They are often considered in chronic conditions and employ a highly sophisticated system of diagnostics which works for complex and sensitive patients. Painless Microlight Electro-Acupuncture combining frequency specific microcurrents and color light therapy providing gentle, accelerated healing to those for whom other methods have failed. We use only the finest quality disposable stainless steel and gold needles. 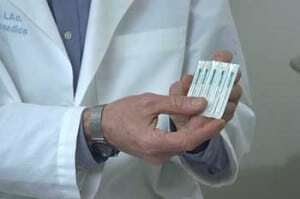 The Clean Needle Technique Protocol is followed for hygienic safety. FSM is a painless, deep acting micro current therapy. Micro currents one millionth of an amp are applied to the body to facilitate healing of specific tissues and disease conditions. FSM has evolved over the last century. It restores healthy cellular function, structure and genetic potentials. In its current form, FSM represents a significant breakthrough, that has clinically proven itself treating neurologic, and orthopedic pathologies. Research on cellular pain and inflammation markers have verified its dramatic efficacy. It is widely used by professional football and hockey teams for recovery from trauma, injury and surgery. Receive your treatment on bed of Amethyst and Tourmaline crystals, infused with far infrared light and negative ions for a wonderfully stress and inflammation relieving, healing, and detoxifying experience. Far Infrared Black Mineral Plate and Moxibustion heat therapies, both create a comfortable, yet warm penetrating heat that relieves pain, unblocks energy and blood circulation and strengthens weakness. Cupping relieves pain and stagnation. Only disposable cups are used for hygienic safety. Craniosacral therapy can be combined with Acupuncture, for a powerful synergistic healing effect. It provides an exceptionally gentle, yet profound adjustment of the cranium and entire nervous system. 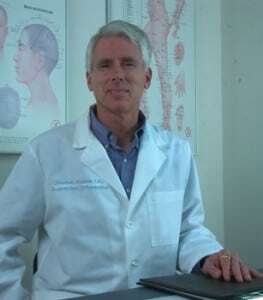 We welcome you to give Jonathan Breslow a call to provide your complete Southern California acupuncture needs. Our successful Camarillo Clinic is open to those seeking acupuncture services from Ventura County, Santa Barbara, and surrounding cities. We would also like to welcome any Santa Monica and Los Angeles area acupuncture commuters.